Join our Building Project in the Philippines and actively take part in improving water and sanitation facilities in communities where there is a serious lack of this important infrastructure. We have identified an area in San Remigio where more than 3,000 households in the municipality do not have their own toilets. On this project, you will help build toilets and other sanitation facilities in these households, to improve the quality of life of many families. 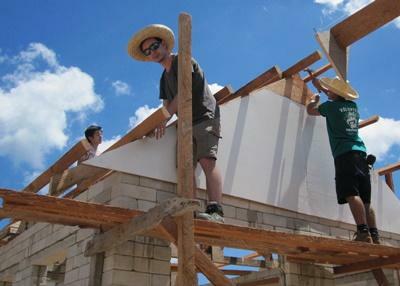 During your time on the Building Project in the Philippines, you will work alongside local builders and tradesmen while being supervised by a Projects Abroad Manager. 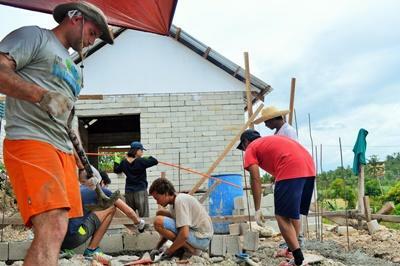 They will teach you all the necessary building skills you need to take part in the project. You can join this project at any time and stay as long as you choose. You must be reasonably fit to participate. During your time abroad in the Philippines, you will live with a local host family, who will welcome you into their home and teach you about Filipino culture and daily life. In your free time and over weekends, there is plenty to explore, and you can socialize with other Projects Abroad volunteers. You will also be supported by full-time local Projects Abroad staff. You can join the General Building Project in the Philippines from one week if you don't have time to join us for four weeks or more. This project has been selected by our local colleagues as being suitable for short term volunteering for both the host community and the volunteer. Although you will gain a valuable cultural insight and work intensely within the local community please be aware that you may not be able to make the same impact as someone volunteering for a longer period and may not see the completion of some of the building work. If you are are a high school student and first-time traveller you may want to consider our High School Special programs in the Philippines.